Color . . . Varies depending on style. From a pale yellow to a clear white to a tawny color. Wine Glass . . . The glass you use varies depending on the type of wine you’re having. For a sweet Moscato, use a white wine glass like this. If you’re drinking a sparkling variety, go for a Champagne-style flute like this. Best Used By . . . Drink within two years of the vintage date on the bottle. Tastes to Expect . . . Expect strong citrus fruit flavors such as orange and lemons. 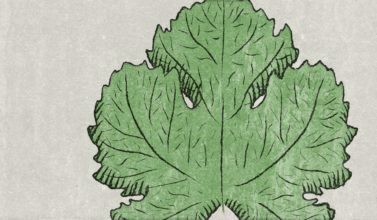 Depending on the variety, you can also expect higher acidity and a lot of sweet fruits like honeysuckle and melons. Pairing . . . Moscato makes a perfect pair with spicy foods. It also works great with lighter meats such as chicken, fish and pork. The most common Moscato styles are Sparkling Moscato d’Asti, Still Moscato and Dessert Moscato. When most Americans think of Moscato, it’s Sparkling Moscato d’Asti and is by far the most popular of the styles. 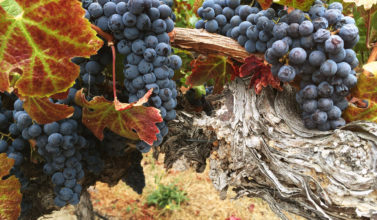 There are over 200 varieties of grape in the Muscat family. 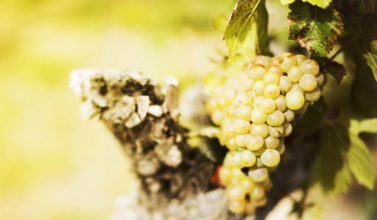 The most common are Muscat Blanc à Petits Grains (used for Moscato d’Asti), Muscat of Alexandria (the oldest), Muscat of Hamburg (known as the Black Muscat) and Muscat Ottonel (used for a dry white wine). Although it might look like a rosé, a Pink Moscato doesn’t get its color from the grape’s skin like a rosé. Instead, its pink color comes from a splash of red wine – typically Merlot. 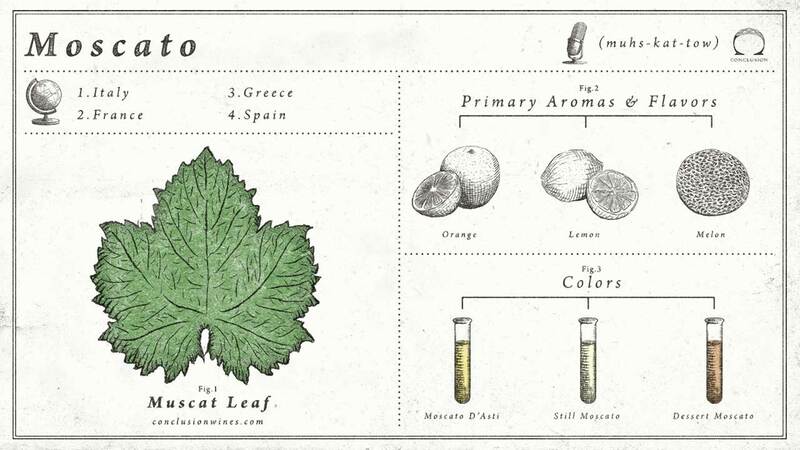 The Muscat grape is the only one to pull double duty, producing both fine wines and every day table wines. Your quick guide sheets are fabulous… Do you sell them by the print? or in a book? If you don’t … you really should and please let me know when you do! If you do how can i purchase them? Thank you, Lesley! We’re glad you enjoy them! No, we don’t sell them anywhere, but you’re welcome to grab a copy from our site to print them yourself. Cheers!